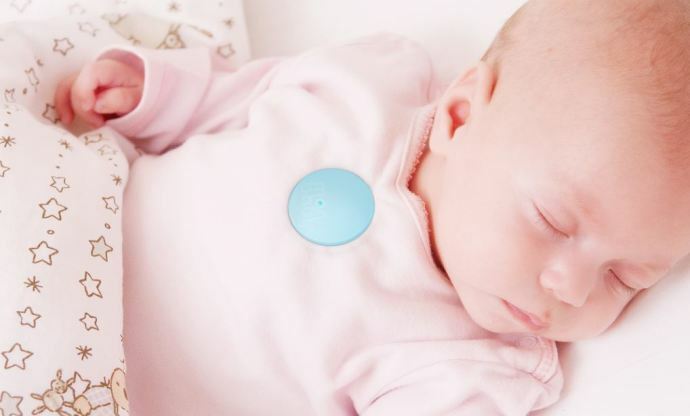 I am intrigued by all the new technologies and devices coming out that are designed to monitor and track a baby’s sleep patterns and movements. Products like the AngelCare Sleep Monitor and wearable devices like Sproutling are just the beginning of a slew of innovations in new parents’ future, from what we can tell. And a new Kickstarter campaign for a wireless baby monitor called MonBaby is another one to keep an eye on. For many new parents, worries about SIDS and just making sure the baby is sleeping and breathing well, can be overwhelming, which is really how the idea for the MonBaby came about. The inventor wanted to create a solution that would enable him to check on his own son from anywhere in the house. 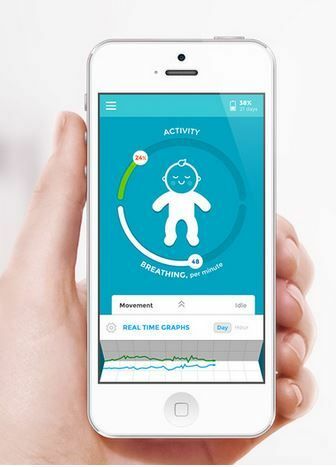 Similar to the Sproutling, MonBaby takes precise measurements of your baby’s breathing, heart rate, movements and sleep patterns–five measurements per second, in fact. All of the information is sent to your smartphone via the MonBaby app (iOS or Android) to give you real-time stats on things like how your baby is sleeping or even what position he is in. You can customize alerts, like to detect if the baby has flipped over to his stomach or if his breathing rate has suddenly increased. Design-wise, it seems more seamless than Sproutling; instead of having the baby wear something, the MonBaby simply snaps onto any article of clothing. It’s about the size of a half-dollar and lays flat so it shouldn’t be intrusive at all to a sleeping baby. Plus the battery lasts a full two months. It reminds me of the Mimo Turtle onesie we covered a while back, with the device embedded into the clothing–but in this case, MonBaby is removable because yeah, you’ll probably be tossing those baby clothes in the washing machine pretty frequently. Now one thing I admit I’ve been concerned about with all these devices is the effect that Bluetooth and Wi-Fi have on a baby in such close proximity. It’s reassuring to learn that this device errs on the side of caution, using Bluetooth Low Energy technology which emits 100 times less radiation than a cell phone and ten times less than the existing video baby monitors which old school parents like me still rely on. That said, if you are used to video, I think it would be a huge adjustment to rely solely on the smartphone app for baby stats. If I were a new parent, I’d probably use the MonBaby along with a more traditional monitor together to make sure all the bases were covered. And of course, there’s always the really old school thing to do — just walk in and check on your baby. No matter what technology they invent, that always seems to put me at ease most of all. For more information, please visit the MonBaby Kickstarter page. For $89, you can pre-order your MonBaby device for December delivery, assuming the funding goal is reached by 11/5/14 so act fast! Also, check out our archives for more baby monitor recommendations.